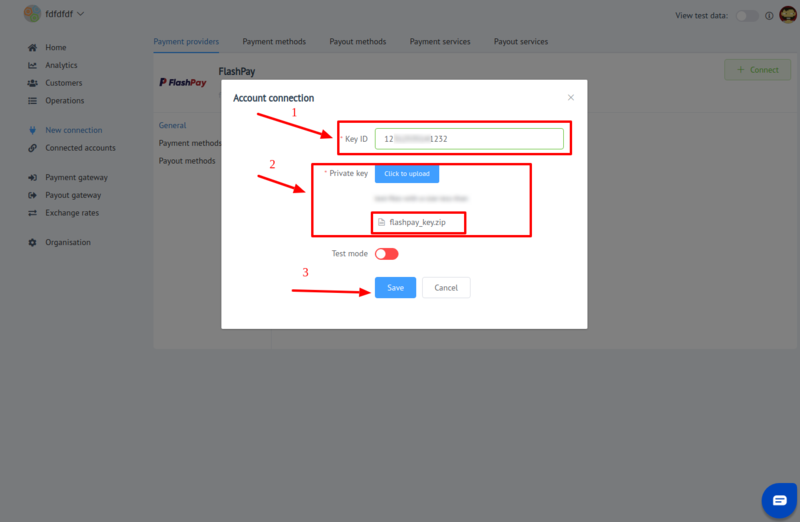 Here You can find instructions for setting up FlashPay account! This Payment Provoider gives acoount credentials personaly to their merchants! Private key !!! note Private key must be a file! You are ready to connect! Press Connect at FlashPay Provider Overview page in New connection section to open Connection form! © 2016-2048 PayCore.io®. All Rights Reserved.